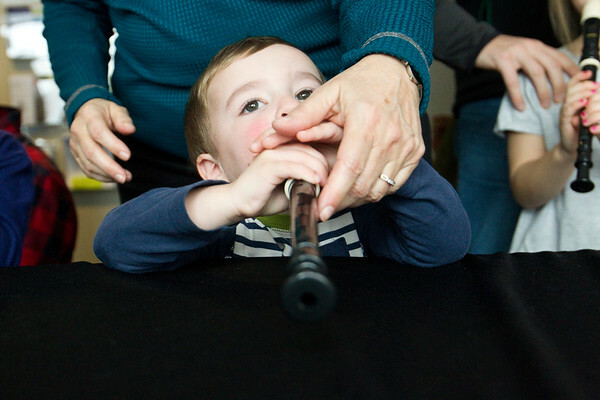 Miles Wood, 2, tries playing the recorder with help from his grandmother, Elaine Wood, at the instrument petting zoo during Saturday's TSO at TADL at the Traverse Area District Library Woodmere Branch with members of the Traverse Symphony Orchestra winds section. The hour-long event featured a performance, movement activities and an instrument petting zoo. The educational program will continue on February 10 with strings and on April 14 with percussion.